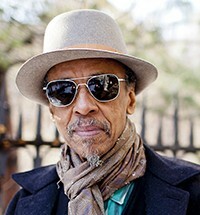 ​In 2016, composer, and multi-instrumentalist Henry Threadgill received both the Pulitzer Prize in Music for his recording: “In for a penny, in for a pound” (Pi Records), and Doris Duke Performing Artist Award. Both honors were well deserved. Henry Threadgill, who came out of the imaginative environs of the ‘60s Chicago scene, possesses a brilliant creative mind and is one of the premier composers, thinkers and reedmen of our time. His level of creativity undiminished over more than three decades as a leader of various ensembles. In many ways, Henry Threadgill is the quintessential freethinker who falls between the cracks of established categories like jazz, classical, or world music. “I never did consider my music jazz. Jazz is part of my vocabulary, but I don’t do jazz specifically. I consider myself an international musician. The world is an international place, so I always felt my music should be marketed that way.” His 2015 album In for a Penny, In for a Pound won the 2016 Pulitzer prize and was described as a “highly original work in which notated music and improvisation mesh in a sonic tapestry that seems the very expression of modern American life (Pi Recordings)”. His compositions demonstrate his experience in blues, gospel, Latin, jazz, classical music, reggae, polka and marching bands, integrating his global influences so smoothly into a singular, deeply personal style that can’t really be called eclectic. 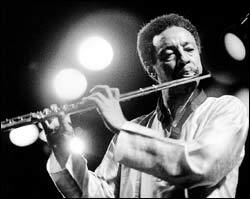 Henry Threadgill has toured the world many times, performing with his various ensembles in North America, Europe, and Asia. To growing number of musicians, listeners, and critics, Henry Threadgill is the forerunner, the innovator that constantly sets new and higher standards that unfailingly delivers and touches the utmost places in the performer and listener – both intellectually and emotionally. To quote a critic, "he is the freshest breeze capable of ruffling the music's neo-conservative mainstream." Threadgill thinks of himself simply as an artist – as a composer of serious art music. Today, Henry Threadgill is touring the acoustic, multi-ethnic and string-driven Zooid featuring Liberty Ellman (guitar), Jose Davila (tuba), Christopher Hoffman (cello), and Elliot Humberto Kavee (drums). With the formation of Zooid, Threadgill created a new alloy of sound by stirring up a peculiar instrumental mix: alto saxophone, guitar, tuba, cello and drums. The music expresses breathtaking beauty, imaginative eccentricities and improvisational freedom. Zooid has recorded four albums, the first being “Up Popped the Two Lips” (2001), and the latest being the Pulitzer Prize winning “In for a Penny, In for A Pound” (2015).